This time of year is filled with new beginnings and we have many of them here at NCAKE. With your input, we have a brand new logo design that celebrates our region. One of the most beneficial outcomes of this process was taking some time to think about what makes our work meaningful. We all have loved identifying with the California state bird, the quail, to celebrate how we move in circles with our community, and it is important to take that sentiment with us in the years to come. You selected our new logo that you see here, featuring the Golden Gate Bridge, which welcomes people to Northern California from all over the world. We are all excited about how it turned out and thank you for your input into the process. In my own work, teaching students in urban Oakland, the image of a bridge is very inspiring to me as I encounter children from all over the world. Music is the bridge that connects us all at weekly choir rehearsals. Though our life experiences are very different, through singing, we quickly and joyfully become one community and one voice. This feeling is what inspired me to pursue a career in choral music education after first entering the music world as an instrumentalist. Seeing how young people can walk into the room and immediately connect with those around them, simply by learning to use their voice, is pure magic to me. At a time when all we hear about are the divisions in our society, I am thankful that we have music to create these bonds between us. We have an exceptional lineup of workshops this year. Our outstanding presenters will breathe new life into your teaching with fresh materials and practices. As we move into the fall, soon you will see our new website unveiled, as well as our new YouTube channel, which will provide resources for you to use in your teaching. This year, we are working to better serve the entire Bay Area by moving our workshop locations around, and also hoping to begin offering satellite workshops outside the Bay Area to serve our members in other parts of Northern California. All of these efforts help connect our outstanding community of music educators. As the year moves forward, we quickly become absorbed in our work, our students and our music. It is easy to feel isolated after a long day of teaching or in the midst of concert season. Remember that your NCAKE community is here to support you, with professional development to help you grow, friends to help you laugh through the challenging days and colleagues to help share ideas and strategies that can help you and your students thrive. 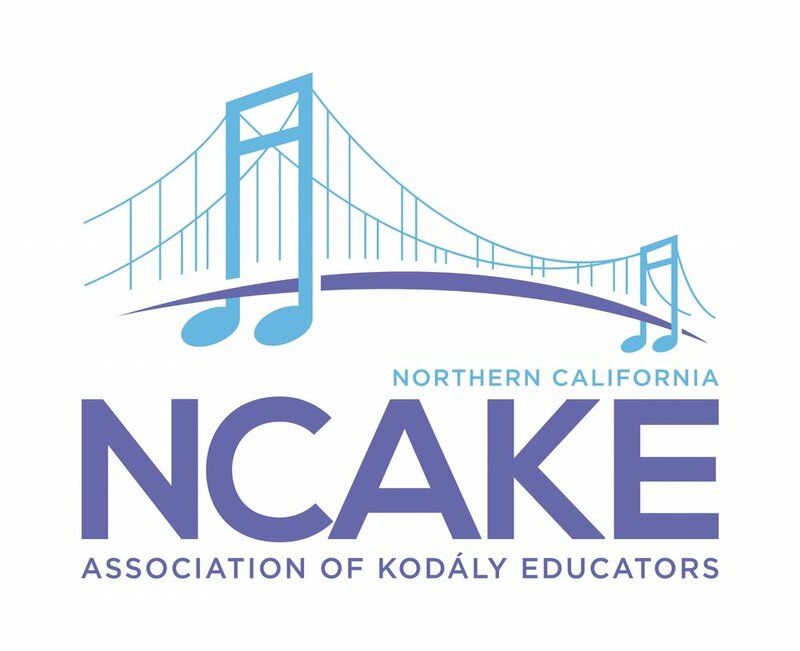 Take a morning to reconnect with NCAKE at our fall workshop. We all stand stronger when joined together.